Top quality material and finish. 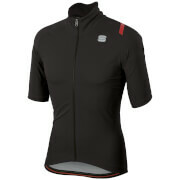 Race fit no loose flapping, go up a size if you want a more relaxed feel. Ideal jersey for cool but not freezing temps. Breathes ok for training efforts. Quality zip with draught cover. 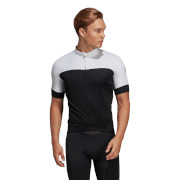 Nice jersey for biking.really good quality. But I want to get a one size larger than your normal size.